An important component to your garden home is the entrance. A welcoming entry not only improves the curb appeal, but it also signals to your guests, "You have arrived. This is where my garden home begins." An entrance can be as simple as an upturned stone beside a flagstone path or as grand as a gilded wrought iron gate. It all depends on style, setting and budget. The best entries offer a hint of your personality and your home’s décor. Begin the design process by evaluating your site. Where would you like to place the entrance? Sometimes the choice is predetermined by existing walks. In other cases you may have a blank slate. Also, how would you like visitors to reach your house? Do you want to create a direct path or perhaps guide them through a portion of the garden first? Next pretend that there are no house numbers on your street. Without these indicators, how would you describe your house and garden so that guests would know they have come to the right place? Now incorporate some of these descriptors in your entry design. Using similar elements creates continuity between the house, garden and entrance. Finally decide on a budget. It doesn’t take a lot of money to establish an entry. Two boxwoods planted on either side of a sidewalk or a cluster of containers might be all you need. 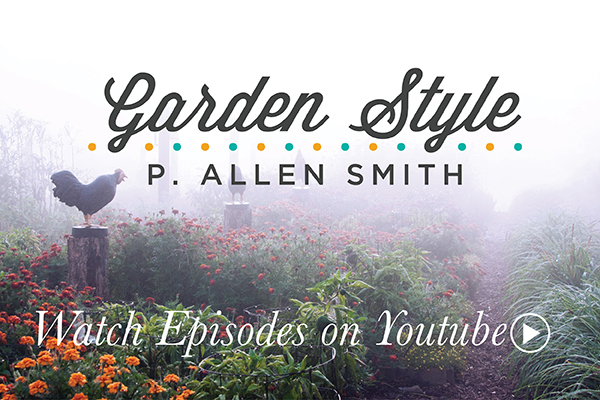 Here are a few tips that I use to create garden entries. Make the passageway broad and commodious. A comfortable width for a garden entry should be at least four feet wide. Scale the entry in proportion to the home and garden. A large house and grounds can support a grand entrance, while something subtle is more appropriate for a small home. Repeat elements from your home’s entry at the garden entry. Similar details, stylistic touches, and/or materials will knit the house and garden together and provide continuity and a sense of style. Encourage your visitors to slow down. Accent the entrance with fragrant, colorful or soft plants. A few pots of lavender, bright dahlias or fuzzy lamb’s ear will invite people to stop and smell the roses. Make the destination clear. While it doesn’t have to be a straight line, the primary route leading from your garden’s entrance to your front door should be somewhat direct. If a path takes you markedly out of your way, it will seldom be used. Use your habit as your guide. What course do you naturally take? Ask yourself, "Will I is this a path I will use if I place it here?" Your front porch or stoop is a transitional point between the garden and the inside of your home. If space allows, make the area large enough to accommodate several people. A good rule of thumb for the size of the landing is one and a half to two times the width of the path.